The 2019 North Star Puppy and Handler weekend has secured a room block at the Aloft Minneapolis hotel. 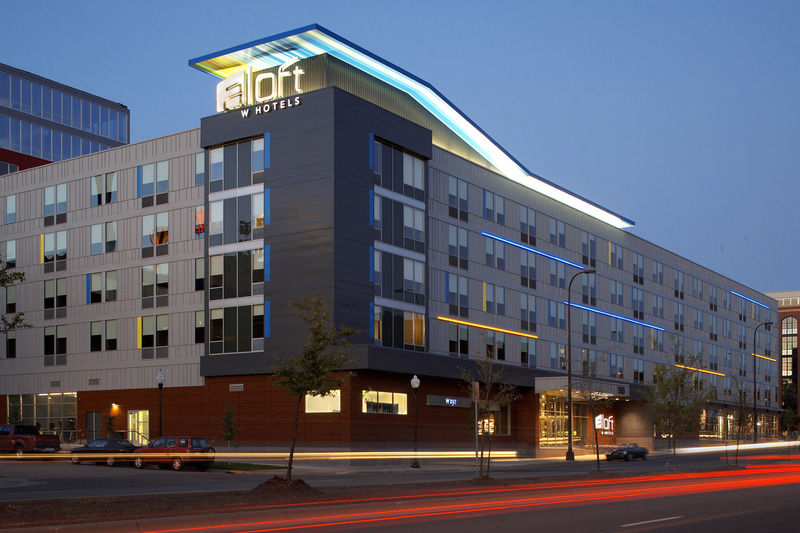 The Aloft is located at 900 South Washington Avenue in Minneapolis, just four blocks from the Minneapolis Eagle! The double queen and king rooms in our block are priced at $129/night + applicable taxes for the nights of the contest (March 8-10, 2019). Check-in is at 3:00 p.m. Check-out is at 12:00 noon. You can cancel reservations up until 6:00 p.m. the night before your reservation. There is complimentary shuttle service within five miles of the hotel. This covers the entirety of downtown Minneapolis. The shuttle is available on a first-come, first-served basis. After-hours service is possible. Complimentary wi-fi throughout the hotel and in each guest room. Double queen and king rooms. Bliss products and mini fridges in each guest room. Re:fuel food station open 24 hours. WXYZ bar open from 4:00 p.m. until midnight or later. The bar features hot and cold bites to satisfy any cravings. Meter parking is available for $1/hour. Ramp parking is available at the Guthrie Riverfront parking ramp for $7/day (subject to event fees). Underground parking is available on a first-come, first-served basis for $25/day. In addition to the online reservation website available below, you can also reserve a room by calling 1-877-GO-ALOFT and asking for the North Star Pup & Handler Weekend Room Block.